Festplatte: 1TB. - der iMac ist in einem sehr guten Zustand und läuft leise und stabil. Das Display ist in einem sehr guten Zustand, es sind keine Pixelfehler oder Kratzer vorhanden und es ist einwandfrei ausgeleuchtet. Festplatte: 120 GB SSD 1TB HDD. - der iMac ist in einem sehr guten Zustand und läuft leise und stabil. Das Display ist in einem sehr guten Zustand, es sind keine Pixelfehler oder Kratzer vorhanden und es ist einwandfrei ausgeleuchtet. Apple Mac Hackintosh - a PC turned into a Mac - Super powerful and cheap MacEverything works with no issues - in excellent condition, cleaned and fully refurbished. Support given. • i3 3220 Hackintosh - Dual core 4 threads. Core i5 2400 @2.5Ghz. Apple Mac mini. Mac Mini RICONDIZIONATI 2011. Gestiamo anche il Buono Docenti. Ieee 802.11n, Ieee 802.11g, Ieee 802.11A, Bluetooth 4.0, Gigabit Ethernet, Ieee 802.11b. Uscita HDMI. Der Mac Pro ist insgesamt in einem guten gebrauchten Zustand: Er läuft leise und stabil. Das Gehäuse ist in einem gepflegten Zustand. Geringe Gebrauchsspuren im Aluminium sind möglich. Alle Teile sitzen passgenau. Project Mac High end Mac Pro 2x X5680 3.33Ghz total 12 core 24 thread 32GB - 64GB upgrade is £80 1TB HDD other options available original GT120 graphics with Load screen white colour not the red one shown in picture. DVD Drive and 4 drive bays. some minor marks and scratches High Sierra and Loaded with software fast secure postage in special box will need box back for reuse. I have sold many of these with all happy customers Project Mac *all software is free and came preinstalled when unit was purchased. It can be removed upon request. 250GB SSD, Wiped & Loaded with High Sierra 10.13. 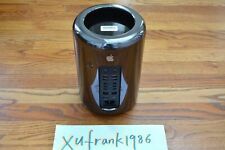 Apple Mac Pro, 5,1, 2010. Keyboard / Mouse Provided, Original Apple. Festplatte: 500 GB HDD. - der iMac ist in einem sehr guten Zustand und läuft leise und stabil. Das Gehäuse ist in einem ausgezeichneten und gepflegten Zustand. Im Ganzen ein sehr guter optischer Gesamtzustand. Very good condition and hardly much sign of use. Warranty 30th Aug 2019. macOS 10.14, Mojave. Includes original speakers, keyboard, and mouse. Grafikkarte: ATI 5770 orig. - Der Mac Pro ist in einem guten Zustand: Er läuft leise und stabil. Das Gehäuse weist nur geringe Gebrauchspuren auf. Kratzer im Alu sind möglich. Alle Teile sitzen passgenau. Apple Mac Hackintosh - a PC turned into a Mac - Super powerful and cheap MacEverything works with no issues - in excellent condition, cleaned and fully refurbished. Support given. • i7 3770 Hackintosh - Quad core 8 threads. Refurbished iMac 27" Model A1312(EMC2429) Serial Number CO2G4BRYDHJP Grade A. Hard Drive: 1TB SATA HDD. MAC-OS HIGH SIERRA 10.13.6. Screen 27". Mac Office installed. we display Original pictures Excellent Condition throughout. Condition is Used. The imac is in excellent condition, with no blemishes, scratches or marks on the screen. Excellent opportunity to replace your faulty Mac Pro 4.1 logic board, ready to plug in your existing components. Compatible with both single Quad or Dual Daul 4.1 Mac Pro's. Logic board. Processor tray. IMac 27 late 2015 5k 8gb ram 1 tb hard drive i5 in good working order just the front glass has 2 cracks on the front but the LCD works normal. Hard to notice when on. Has the latest skylake i5 processor and 2 GB of graphics card.plus this model has the faster ram 1886 MHz. ✅ APPLE IMAC 2010 A1311 21.5" UPGRADED! ✔CORE i5 3.2GHZ! ✔8GB RAM ✔FullHD ✔SALE! Apple iMac A1311 Mid-2010 with a great 21.5" FullHD screen! Identifiers:Mid-2010 - MC509LL/A - iMac11,2 - A1311 - 2389. SCREEN: 21.5" 1080p FullHD resolution. It's a complete revamp of the 2010 iMac to give you benefits. Condition is Used. We are a pet free and non smoking house. Grafikkarte Radeon HD 5670M. Grafikkarte: Radeon HD 5670M. Modell: Apple iMac A1312 27"OHNE MAUS, TASTATUR und Stromkabel! Apple iMac 27 A1312. Tastatur Ohne Maus und Tastatur. 1x Apple iMac 27 A1312.  Apple Mac Mini Late 2012 i5 8GB RAM 120GB SSD + 500GB Storage! macOS Mojave! 120GB SSD 500GB (5400-rpm) hard drive. 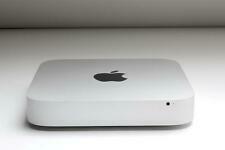 For sale, this fantastic upgraded Late 2012 Apple Mac Mini in Excellent Used Condition! Mac mini (Late 2012) - Technical Specifications. Native Mini DisplayPort output. Fantastic condition and 100% working. Model Number: A1418. Hard Drive 500GB HDD. The iMac is a lovely piece of kit and you wont be disappointed. Model Family: iMac. Processors: 1.4GHz Core i5 (4260U). Great condition units. Tested and fully functional. They have had a clean install of Mac OS El Capitan. 1 Terabyte (1TB) 7200 RPM Serial ATA hard drive. Seamless all aluminum enclosure. Model: iMac. One (1) RJ-45 Ethernet jack. Aluminum stand with an adjustable hinge. AMAZING deal from a Reputable vendor. 12TB Fusion SSD Drive for blazing fast performance;. 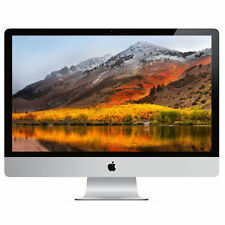 Top-Notch Apple iMac 27" 3.4 GHZ Quad Core-i7 (LAST ONE!). 🔥 Custom Upgrades Sold Counter 🔥. All orders are processed and tested in the order these are received. (außer Akku). Wir antworten. 12 Monate Gewährleistung. Grundtaktfrequenz 2,66Ghz. So einfach, so-fort! NVIDIA GeForce 7300 GT. 500GB HDD oder 2x 250GB HDD. 500GB HDD SATA. All works well, superdrive seems to work despite its age. Clean install of Mac OS Leopard. iMac and power cable included. Very good condition all round (see photos). Fully tested and in perfect working order. Airport: 802.11a/b/g/n/ac. Disc Drive: No. Connectivity: 4 X USB 3.0 / 2 X Thunderbolt 2 / Audio Out / SDXC / Gigabit Ethernet / Bluetooth 4.0. Radeon Sapphire RX580 (8GB Ram) Graphics card. 512GB Flash SSD (Apple PCI-e card). 32GB 1333Hz System RAM. Keyboard and Mouse. Includes what's shown in the pictures. No scratches or dings or anything. - Full computer shell, 2014, but compatible with internals up to 2019. - Unopened iFixit kit to install screen once internals are installed. Apple Mac mini late (2012) A1347 i5 2.5GHz 4GB 500GB HDD Desktop. Condition is Seller refurbished. Unit comes with replacement power cord and usb cord. Operating system OS X 10.8.5 mountain lion. Unit cosmetic condition is light scratches and scuffs. This is the "Mid 2014" version. Great pre-owned condition! Non smoking owner! Computer has been wiped and ready for a new owner. Downloading newest macOS (Mojave) for "newowner" as well. 2.50 GHz i5 Processor. 500GB Huge Hard Drive. Fastest Ever Mac Mini With 2018 Specifications. Mac Mini 5.1. MacMini is in great condition A Grade. 3 Months Warranty. Release Year:2011. Original Wireless Remote. Apple A1419 27" iMac (late-2013) 3.5GHz i7 Quad. 18GB RAM, 1TB Hard Drive. NVidia GeForce GT755M (2GB) graphics card. Apple Magic wireless mouse. Apple Wireless keyboard and. Our Condition Grading System is very simple. AMD HD 5770 1GB. 1TB HDD 7.2K RPMS. 16GB 4x4GB. 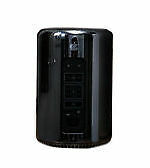 Mac Pro (Mid 2010)- Technical Specifications. High Sierra. 1TB SSD Disk. This iMac is in fantastic condition, it works without any issues. The screen is scratch free, no dead pixels or blemish. This fantastic deal includes the iMac and the power cord. I am based in North Bristol.